When you decide to go all-out custom, there are few things that put an exclamation point on your statement as loudly as a flamed paint scheme. They can make or break whatever style you’re going for, and unlike changing a set of wheels, they can be pretty permanent. So if you’re looking to get in on this, it isn’t a bad idea to see what other people have already done. 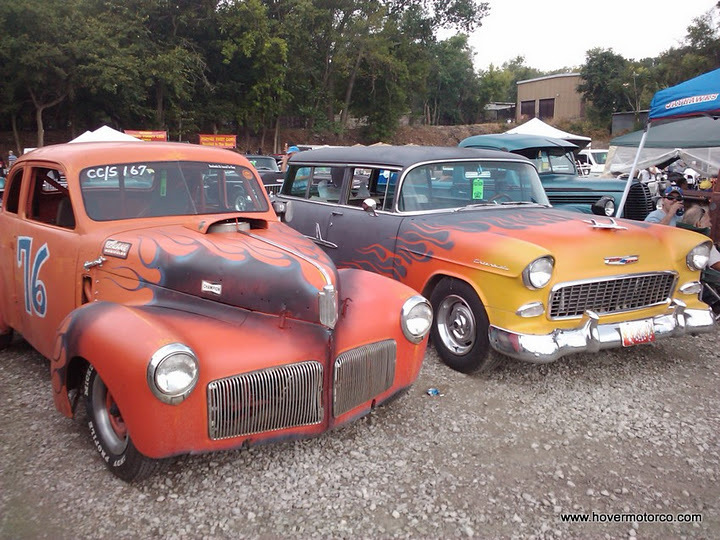 Flames have adorned hot rods since the beginning. After all, you can’t have a hot rod without the word “hot.” And over the years, they have been rendered in every style imaginable. Some of them can truly be works of art. Some are downright awful. Of course, either one of those statements can vary depending on who you ask. That’s why a custom is a custom—it isn’t supposed to be for everybody. As far back as the 1940s, guys were painting licks on their cars. Of course, most of them weren’t quite as fancy and finished as what we have today. Usually they were just painted on by some kid in his back yard—often with a brush. More often than not, they were pretty ugly, too. It’s not like there were other cars to copy and get ideas from. They were just what a freshman in high school thought painted flames should look like. But kids often have a significant impact on setting trends, and that proved to be the case here. 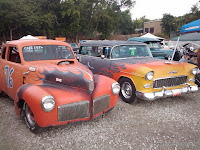 As hot rodding and customization began to really take off by the early 1950s, skilled artists started to direct their talents toward fancy paint jobs, pinstriping, and flames. Guys like Bob McCoy, Von Dutch, and Dean Jefferies took the phenomenon to a whole new level. And the marketing efforts of George Barris and others help spread it across the country through photo-illustrated stories in magazines like Hot Rod, Rod & Custom, and Car Craft. Over the years, the style of flames has changed a bit. In the beginning, they were sort of animated renditions of real fire. Soon the lobster claw style started to emerge. Occasionally there would be a simple outline, generally pinstriped around the flames. As time went on, artists began to stretch their abilities, adding multiple colors and fades to their flame jobs. By the mid-1960s, you’d see more long flames with pronounced lobster claw ends. In the ‘90s, you started to see more long sweepers, as well as variations like tribal flame art. Within the past few years, things like ghost flames, which are barely visible, gained popularity. You also saw some guys take a more realistic approach, with airbrushed flames that looked more like something you’d see in an oil painting than on the hood of a car. Styles come and go, but one thing’s for sure, if you stick with tasteful and traditional, it will never go out of style. Bold isn’t necessarily the enemy when it comes to flames, but weird flames can get real old, real fast. For as radical as flames can be, there are still lots of guys that have them on their cars. I spent just a little time culling through my pictures to come up with this slideshow of nothing but flamed rides. From the excellent, to the, well, maybe it seemed better in their heads, there’s a pretty nice assortment of hot hot rods for your viewing pleasure. The man that must NEVER sleep ! I have just started following your blog and getting some friends to do so as well. You post nice things and the kind of things ole farts like me like to see. Good work and thanks for making it possible for me to enjoy. LOVE flames! Have flamed helmets, welding helmet, and a custom painter friend flamed a mailbox for me for my first house some 25 years ago. Once kinda sorta had a flamed Sportster for awhile, [long story] but have never owned a flamed car. Must rectify that situation! Thanx for the photos as always.